Ever wonder what exactly your dog is thinking? Well, a team of Swedish researchers is working to solve the mystery -- by developing a product that translates dogs' brain patterns into words. 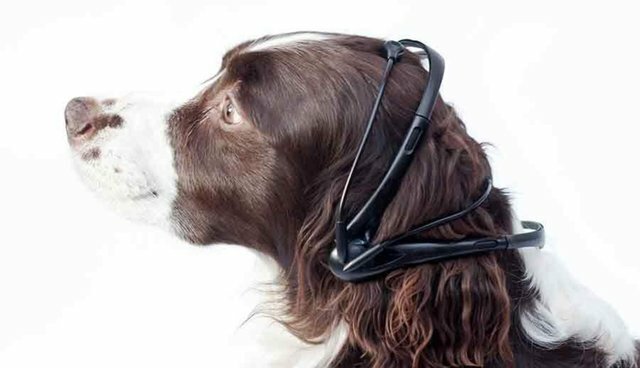 No More Woof, a device not entirely unlike the canine thought-transmitting tool in Pixar's "Up," uses a combination of brain-scanning technologies to "read" dogs' thoughts, seeking out patterns and creating a corresponding vocabulary of English phrases. The device has entered the next phase of its development, after receiving necessary funds from the Nordic Society for Invention and Discovery, as well as a crowdsourcing campaign that raised over $22,000. Interested buyers can pre-order their own No More Woof for a minimum of $65 on Indiegogo. According to the No More Woof website, the team is working on three different prototypes, each of which distinguishes between a different number of thought patterns, including "Who are you?," "He must be a very nice animal," and "Leave me alone." "Right now we are only scraping the surface of possibilities; the project is only in its cradle," the designers say on their website. "And to be completely honest, the first version will be quite rudimentary... But hey, the first computer was pretty crappy too."